Worksop Boys New Boarding House. 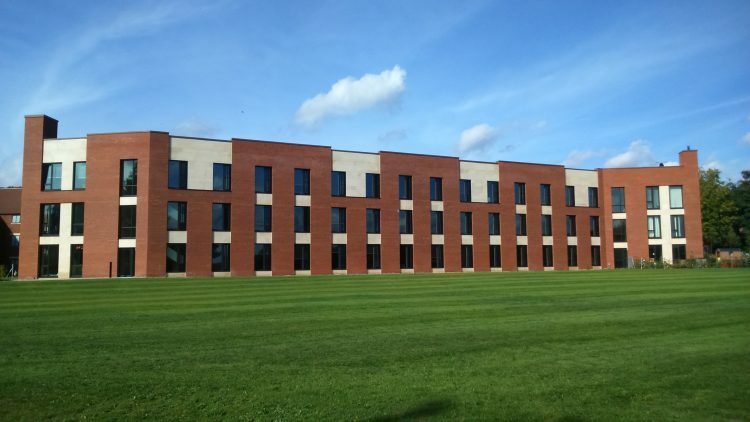 Worksop College’s new £3.5M, 60-bedroom boys boarding house officially opened on the 25th of June. The opening was attended by many pupils, both old and new. The stunning new facility provides first-class accommodation for the already thriving boarding community. During the opening event, both Rob Weaver (Gelder Group Site Manager) and Gavin Parker (Gelder Group Senior Contracts Manager) were presented with the Mason House tie by the School.